Gorillas in the Mist is Dian Fossey’s account of thirteen years spent studying mountain gorillas on the Virunga volcanic mountains. The Virungas are in central Africa, on the border between Rwanda, Uganda the Democratic Republic of Congo. After a false start in what was then Zaira, Dian Fossey established the Karisoke Research Center in the Rwandese Volcanoes National Park. There, she studied several groups of gorillas and fought for conservation until her violent murder in 1985. Rwanda is one of the most densely populated countries in the world. Consisting of only 10.000 square miles, about one-eight the size of Kenya and smaller than the state of Maryland, Rwanda contains 4.7 million people, a population expected to double by the end of the century. Rwanda, known as “the little Switzerland of Africa”, is also one of the world’s five poorest countries, with about 95% of the population barely managing to survive on small farm lots, called shambas, of about two and one half acres each. This was written in 1982. Rwanda now has over ten million people, most of which still live in extreme poverty. And some years after Dian Fossey’s murder, the country faced a civil war, followed by a genocide. Almost a million people were killed. Overpopulation results in pressure for more land to cultivate, and so more and more land belonging to the National Park is regularly cleared for cultivation. As for violence, well, it’s difficult enough to control poaching under normal circumstances. Imagine how difficult it must be when the population itself is getting killed. In Dian Fossey’s time, before the Civil War, she did succeed in establishing anti-poaching patrols. But despite this, gorillas from some of the groups she studied were killed by poachers. First Digit, then Uncle Bert, the group’s silverback leader, and his partner Macho. Uncle Bert and Macho died defending their baby, who was the poacher’s target. Fossey and the other researchers continued to follow the group after the massacre, and so they were able to study the full impact of the leader’s demise. 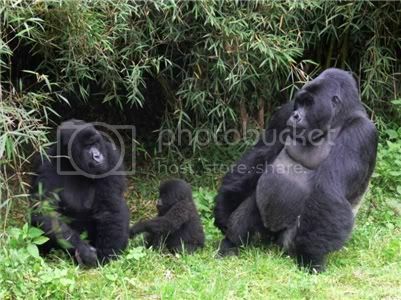 Sadly, as it often happens among gorillas, with the leader gone the group fell apart. Some other members were killed in conflicts with other groups, including a baby killed by another leader so that its mother became available for reproduction sooner. Poaching, then, was indirectly responsible for the death of more than just those three gorillas. And there are also wonderful scenes with the gorillas themselves. The book is about establishing the research centre, about fighting for conservation, about the tragic effects of poaching and capturing baby gorillas for zoos (the chapter on Coco and Pucker broke my heart). But it’s also about how gorillas live, about their development, about their habits and social organization. To which I say: wow. I’ve always loved gorillas, but now I love them even more. I liked Dian Fossey’s voice a lot. I remember reading something once about her being unpleasant and difficult to work with, but that’s really not how she comes across here. Of course, this is her book, and I’m not going to say that her version of things is the definitive one. But I will say that the woman we get to know in this book is not at all likely to put off readers. She comes across as passionate, determinate, and extremely respectful of the animals she is studying. She puts their safety and well-being ahead of her own quest for knowledge, and becomes frustrated when other researchers don’t do the same. She puts conservation ahead of science, and as much as I love science, how can I blame her for that? We can’t study gorillas if all the gorillas are gone. There is a failure to realize that the immediate needs of some 200 remaining mountain gorillas, and also of other Virunga wildlife now struggling for survival on a day-to-day basis, are not met by the long-term goals of theoretical conservation. Gorillas and the other park animals do not have time to wait. It takes only one trap, one bullet to kill a gorilla. For this reason it is mandatory that conservation efforts be actively concentrated on the immediate perils existing within the park. Next to these efforts, all others become theoretical. It’s such a tricky situation. As she also says, these countries have so many other problems to deal with. Rwanda is still far from stable, and park guards and anti-poaching rangers are often killed on the job—more than a hundred since 1994. Last year I read the amazing Last Chance to See, where Douglas Adams talks about how tourism is currently seen as a possible solution. If the mountain gorillas begin to bring people and money into the country, then they will become more valuable alive than dead, giving poachers a reason to think twice before they kill one. Dian Fossey, however, was against this, and it’s easy to see why. First because gorillas are sensitive animals, and being hounded by tourists is extremely distressing for them (in the book, she describes how a female miscarries after being followed by a group of humans for a whole day). Secondly because they can be decimated by diseases they catch from humans, including something as simple as a cold. And finally, because with poachers around, it’s not a good idea to get gorillas too used to being near humans. There are really no easy solutions. 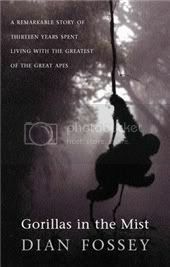 Reading Gorillas in the Mist filled me with awe and respect for these amazing animals. Can you imagine a world without gorillas? I’ve never seen an actual gorilla, but I love knowing they exist somewhere. And the thought of them no longer existing makes me tremendously sad. 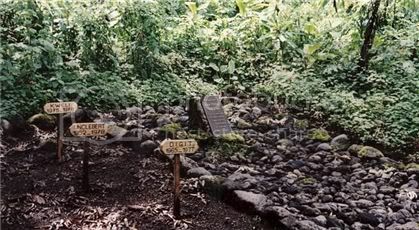 Dian Fossey's grave, next to Digit's and other poaching victims'. Read an article Dian Fossey wrote for National Geographic back in 1970. A picture of Dian Fossey with Coco and Pucker, two orphans she rescued. They later died at the Frankfurt zoo within one month of each other because they couldn’t adjust to captivity. Donate to the Dian Fossey Gorilla Fund. I remember having seen this movie when I was a little girl and it was devastating for a 12 year old. I didn't know there was a book on it - I'm going to have to read it now. I loved the picture of her with Coco and Pucker - she just looks so happy. I am going to make a donation. It's touching that her grave is next to Digit - you posted some really neat pictures. Wow. Just wow. This sounds like nonfiction I would really love. It's been probably 25 years since I read this book, and while I certainly can't recall many details, I can still remember the emotional impact it had on me. I'm so glad you got a chance to read it, Nymeth. It's been a long time since I read this book, but the work of Dian Fossey and Jane Goodall have always been close to my heart! Very moving review, Nymeth. Excellent review! I read the Douglas Abrams book last year based on your review, and I do remember that he was all for tourism. I don't think I'll read this book though; the movie broke my heart, and I don't think I could stand to read it all in more detail. Great review. I think women like Fossey and Jane Goodall have amazing stories to tell. Loved your review. We watched the movie of the same name in one of my classes, and I was in awe of Fossey. I had heard of Jane Goodall before, but never Fossey. I'd like to read her book sometime in the near future. I read the book, then saw the movie. Riveting, but I went through such emotional upheaval! Thanks for a great review! Nely: I saw it at around that age, and I was devastated too. I'm not sure if it's because I'm older now, but the book is actually a bit less difficult to read. From what I remember, they dramatized the story some in the book. Not that what really happens isn't tragic, of course. And plus actually seeing things is always harder. Amanda, I hope you do love it! Debi: I'm very glad I did too. She was a extraordinary woman. Robin: I need to try another one of Goodall's books! bermudaonion: I really thought it was. Jacketsandcovers, thank you so much. I watched the movie too long ago to remember how faithful an adaptation it is...need to watch it again sometime. Jenclair, I need to watch the movie again. But I do remember crying my eyes out. 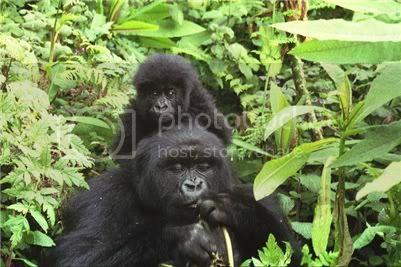 I love gorillas, and give to the Dian Fossey Gorilla Fund every year. She was really something, wasn't she? I've never read this book, although I've always wanted to. I didn't know it would be so sad. I've seen gorillas at the zoo- they're fascinating. What an interesting read this must have been. I have to add it to my TBR list as I am completely intrigued. Great review! What a powerful story. I've heard of Dian Fossey and her work with the gorillas but never read her book. It would be a very sad day indeed to have a world with no gorillas. Wow - I knew they made a movie, but didn't realize there was a book. I do remember that the movie was quite serious and left quite an impact. I love the information that you shared, and how serious the situation is. I've wanted to read this book for sometime. Gorillas are truly amazing animals and it breaks my heart to think there are so few left. Ah, another reason to be sure our e-readers don't use conflict coltan!! The film was beautifully shot but I didn't even know there was a book. It is so sad as gorilla's are so beautiful and rare now. It's very apt she was burried next to Digit. Will look in to donating. I would absolutely love to read this book. I have the mountain gorilla blog in my google reader and I am amazed everytime by the dedication and hardwork shown by these people. Thanks so much for the review, I'll find this book. Wow, wow, wow! This book sounds fascinating. And sad. I love books like these because they wake me up out of my own little world, but I hate them at the same time because they make me want to do something to change the way things are and I feel like there isn't much that can be done by me. Dian Fossey was a notoriously difficult woman to work with, but I think this stemmed from the fact that she was a very strong, independent woman, working in science at a time when women made coffee and illustrated books rather than working in the field. One of Louis Leakey's 'Angels', along with Jane Goodall and Birute Galdikas, Fossey know exactly what she wanted to do and achieve and was determined to get it. She gave everything she had to learn about and protect such magnificent animals and it is so sad that after everything she achieved, mountain gorillas are in a worse state than ever. It was Fossey and Galdikas' work that inspired me to become a scientist in the first place. I read everything they wrote and took a job working with primates in my local zoo. I still dream of visiting the Virunga Volcanoes! 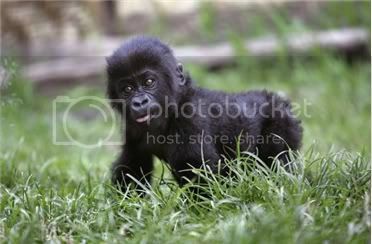 Gorillas have never really been one of my favorite animals but I find all animals fascinating. This sounds like a good story even if its one that would make me worry alot. Love the photos! Nymeth - This is a wonderful review. I believe it will get others excited about the Mountain Gorilla and lead them to Fossey's book. I did not know there was a book...I did see this awsome story on film a few years ago. Again thank-you for your great review. I bought this book nearly 17 years ago on my first visit to America and I still haven't read it. I was aware of the story and I think knowing what happened to her and the gorillas put me off reading it. I think I will have to get it out and read it. Great review. What a wonderful review, Nymeth. This sounds like a powerful book and well worth reading. What a great review. It sounds like an incredibly sad book :( A world without gorillas is not a world I'd like to live in..
chartoose: She really was. I didn't know about the fund until now, but I donated when I finished the book and will again in the future. Jeane, I think this is definitely your kind of book. Samantha, thank you! I hope you enjoy the book. Staci: It would :( I hope it doesn't come to that, but things are not looking good. Wendi: Sadly it is very serious :( I need to watch the movie again and refresh my memory. Amy: You know, I confess I had to look up conflict coltan the last time you mentioned, but I'm VERY glad I did. Thank you for bringing this to my attention! Rhinoa: It is apt...she really did love gorillas. 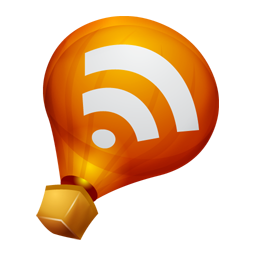 Violet: Just added the blog to mine too. Becca: I know what you mean. But you know, I think the little that we can do (donating when we can afford to, talking about it, spreading the word) does help. Every bit helps. Mariel: Thank you so much for that link! I got that same impression of her...she might be difficult, but it went with being extremely passionate and dedicated. I hope you make it to the Volcanoes some day! Ladytink: They are all fascinating, and the world needs biodiversity. Every animal that goes extinct is a bigger loss than we tend to realize. Mee: Both are such great books. I hope you do read them when you have the chance! Gavin, thank you again :) You made my day. Madeleine, you're welcome! I hope you pick it up sometime. Scrap Girl: It's never too late! Literary Feline, thank you. It really is. This book sounds heartbreaking, yet I'd like to read it anyway. Your review was excellent a gives me much to think about. Thanks for posting this. Yeah - this area really isn't the best place to be in the world! No worries! And if you haven't already read George Schaller's work, I recommend him, though it is a bit more science and less biography. oh my gosh, this sounds amazing. I remember the movie, it was intense. How sad that photo of her grave is, I remember in the film version, how devastated she was when she found Digit murdered. where can i watch her video that i've seen from crime and investigation-infamous murder?